Just a few days ago, we reported on word that some Samsung employees had been spotted wearing Samsung Gear smartwatches loaded with Google's Wear OS. These days, Samsung runs its own Tizen operating system on its watches, so cue speculation that a Samsung Wear OS watch was headed our way. As it turns out, that's probably not the case. Evan Blass, who revealed the above news, has now come back with an update: those watches were one-offs made for a few employees. So despite hopes that Samsung was in the midst of testing Wear OS on its own hardware, it appears that wasn't the case. So as you were? Well not entirely. The plot thickens a little here because Blass wasn't the only one whipping up speculation of a Wear OS Gear watch. In fact, before Blass tweeted, Chinese tech leaker Ice Universe claimed that Samsung is working on a Wear OS smartwatch for the second half of 2018. So yes, it could still be on the cards. Our take? With rumors of a Google Pixel smartwatch popping up later in the year, and Google's tendency to lean on other hardware makers to help build its devices, it would be no surprise if Samsung is somehow involved. 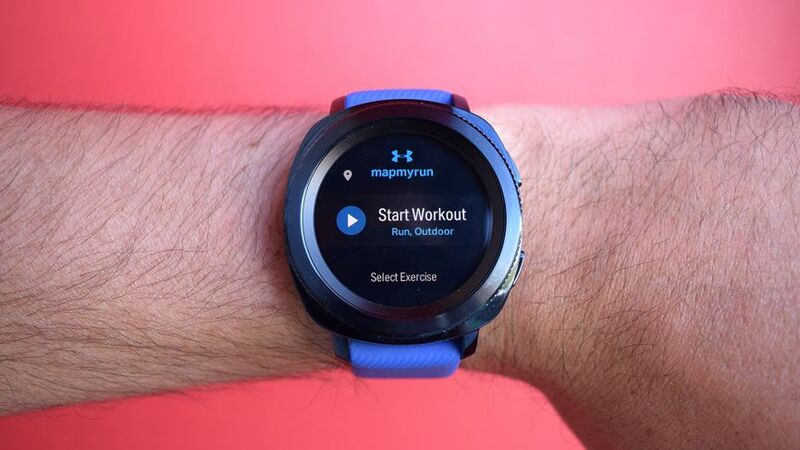 Or maybe Samsung is just going to launch a Wear OS-running watch of its own. Save for the 2014 Gear Live, it's steered away from Google's platform. We can't see it ditching Tizen - it's really good on smartwatches - but it's feasible it could offer a Wear OS option alongside. Samsung's holding an event for the Note 9 smartphone on 9 August, so keep your eyes peeled then. Otherwise, all focus is on IFA later that month. Well, as it is, Google and Samsung are leaving the market almost entirely to Apple, because the former can't build the hardware to compete with Apple and the other insists on doing their own thing, which moves just enough watches for them to think they actually have something going there.